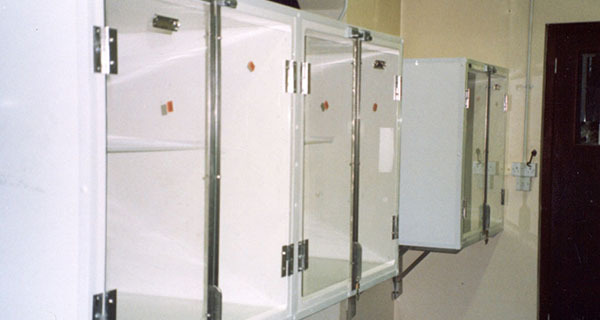 Geeling Ltd was established in 1980 by a West Yorkshire veterinary surgeon and his wife, to provide high quality fibreglass cages for animals requiring hospitalisation in veterinary practices. 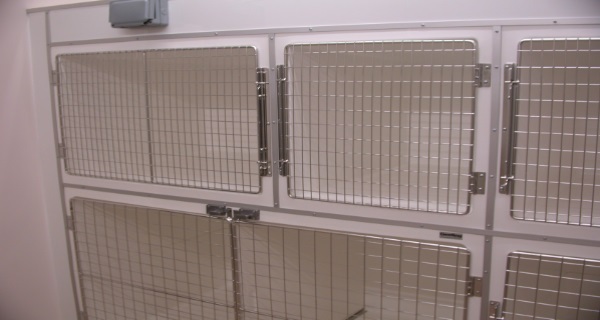 We now offer the widest range of fibreglass cages, manufactured in the UK, which provide secure, comfortable accommodation for all sizes of patient from a hamster to a Great Dane. We are proud of our personal service, product quality and value for money and we are committed to working with the Veterinary profession to achieve the highest standards of patient care. 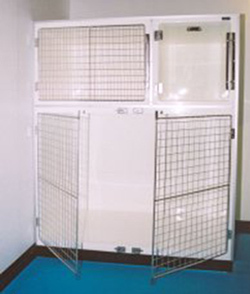 Geeling cages, constructed from high performance laminated fibreglass, are an asset to any practice, providing many benefits for your patients, staff and clients. 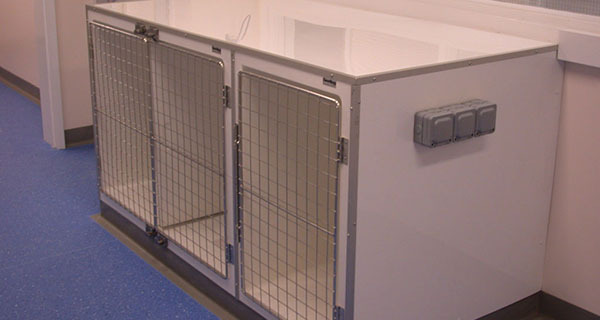 Their quality, strength and durability have been well proven over the past 30 years when they have been chosen by Universities, Welfare Societies and Veterinary Practices throughout the UK and in Europe. 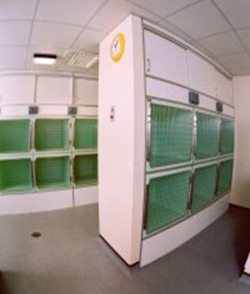 We have over 30 years of practical experience in ward design and we will use our expertise to help you through all the stages, from initial ward planning to your complete fully fitted "wall to wall" installation. Our principal concern is to provide the accommodation best suited to your particular practice needs in a cost effective way and we will liaise with you, your architect and building contractor to ensure that we achieve this. 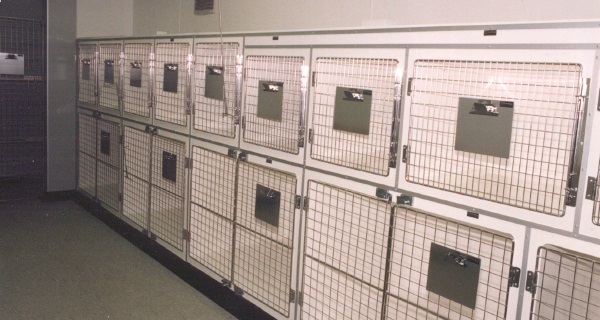 So for Fibreglass Vet Cages in the UK, please do not hesitate to contact us. 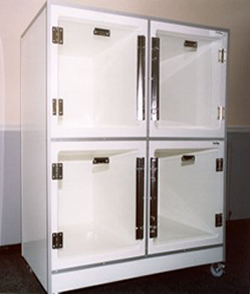 The sole distributor for our products is Fearn Brothers Fibreglass Products Ltd.